Various parts of the north end of the island of Britain (previously called Alba or Albion) in what we think of today as Scotland were referred to in ancient times as Caledonia. The tribe or tribes there were called Dicalidones by Ammianus Marcellinus, and the ocean to the west of Scotland was called the Oceanus Duecaledonius by the Roman geographer, Ptolemy. This gives us a prefix of di- or due- to investigate. So the prefix could either mean 'two', indicating a double land or double tribe; or it could mean 'from'. The latter is supported by the Welsh 'Coed Calydon' (Caledonia forest) to which the Merlin was said to have fled . If the Caledon were the highlands, then a tribe from there would be dicaledonii. Keep in mind that there was very little in the way of uniform spelling conventions until modern times. This discussion of Caledonia has a direct bearing upon another pair of British tribal names: the Gangani, and the Deceangli. 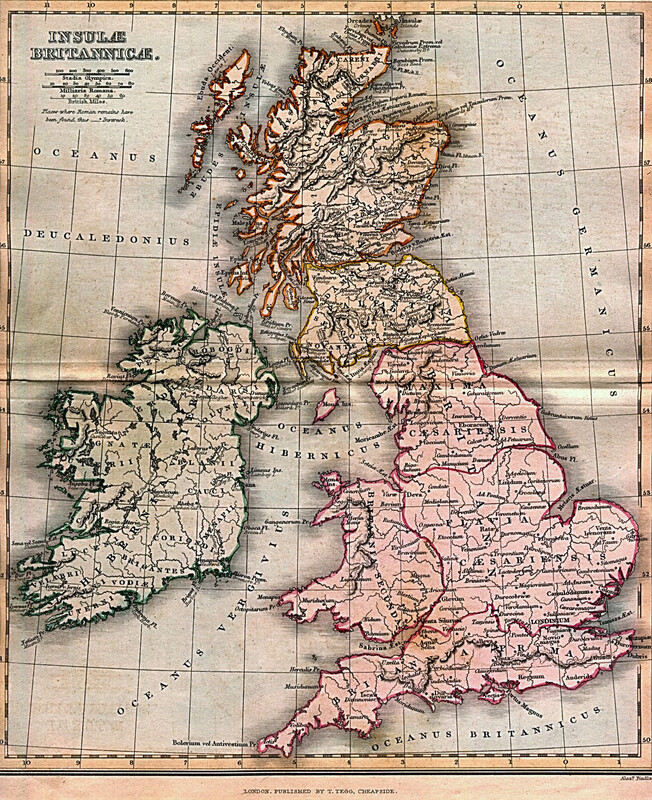 There appears to have been a tribe which was split between Ireland and Britain that was called the Concani or Gangani in Ireland, directly across the Irish Sea from their Gangani or Deceangli cousins in Wales. The addition or subtraction of 'di-' or 'de-' at the front of the tribal name seems to have a precedent in Caledonia and Dicalidones. That a tribe is split between multiple locations is nothing new. Roman history is full of encounters with more than one group of Goths, Suevi, Belgae, etc. In and around Pre-Roman Britain we find the Belgae and Parisi in both Britain and Gaul, Brigantes and Venicones in both Britain and Ireland, Cornovii around Chester or Wroxeter and in north Scotland, and Dumnonii, Damnonii, Domnann variants in Devon and Cornwall, the Clyde Valley of Scotland, and western Ireland no less. This Merlin is distinct from the fifth century companion of Arthur. He was attested by the Annales Cambriae (The Annals of Wales). 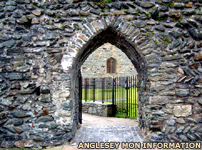 In 573 he went mad after the internecine Battle of Arfderydd between the British kingdoms of Ebrauc and Caer-Guendolau in which the latter fell.